With its foundation in our patented dual-walled DURA-LAST™ Cabinet & Base System, Strong’s Premium Series offers unprecedented strength and unsurpassed heat-retention. DURA-LAST cabinet walls are molded hollow, then filled with a proprietary formulation of insulating foam. This foam is encapsulated within the walls, making access to spa components a breeze. 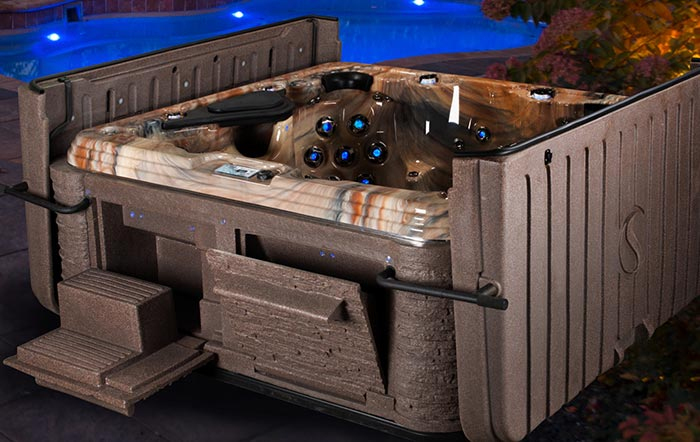 Outfitted with all the luxury you’ve come to expect in a Strong Spa, our Premium line offers seating engineered for optimal comfort, relaxation and hydrotherapy in a variety of sizes and shapes. Luxurious amenities that soothe the senses and rejuvenate the spirit. Performance packages with power and efficiency in mind. Neighbor- taunting curb appeal. 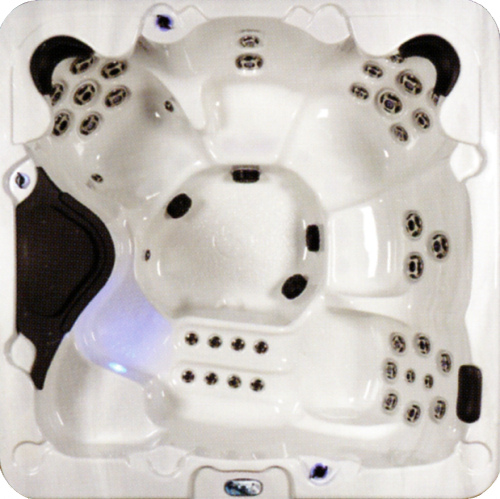 And, of course, the peace of mind that owning a Strong Spa brings.